Just in case you are tired of the same old toss green salad, here is something that will add some zing to your dinner table. 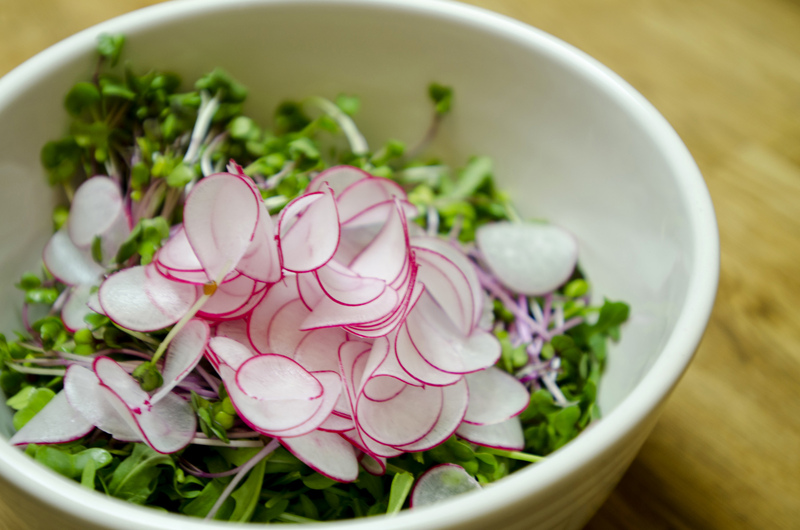 I shaved a bunch of radishes (which were unusually crisp and pungent) over a container of daikon radish sprouts. I tossed the mix with a dressing made with sesame oil, lemon and orange juice, soy sauce, sesame seeds, and pickled ginger. A sprightly mix that highlighted an otherwise ordinary dinner. It is a salad I will return to often.